My first visit to Brougham Castle was on a coach trip while I was at secondary school. Digital cameras were not mainstream then, but I proudly took photos of the castle’s many wonderful features with my point-and-click film camera, and thought it strange that when I’d taken 26… 27… 28… photographs, the film still hadn’t run out. It turned out that there was no film in the camera at all, and as you may by now be sensing, it is one of those things I haven’t forgiven myself for, even today. More recently however, I had another chance to visit Brougham Castle and take photographs to my heart’s content – and yes, I did remember the memory card this time! We visited on a moody overcast day which had a brisk breeze in the air, although it was summer and still fairly mild. I was particularly struck by how such an old site stands only a very short distance from the busy A66, and yet the two feel like they are worlds apart. There is no designated parking at the castle, but a reasonable amount of space on the roadside which is a quiet ‘no through road’. The member of staff in the small ticket building and gift shop was warm and friendly, so we felt very welcome even though there were few visitors around that afternoon. There was however a rather sinister looking sheep who, when we were leaving, refused to stop staring at us until we had made our way back to the entrance building! 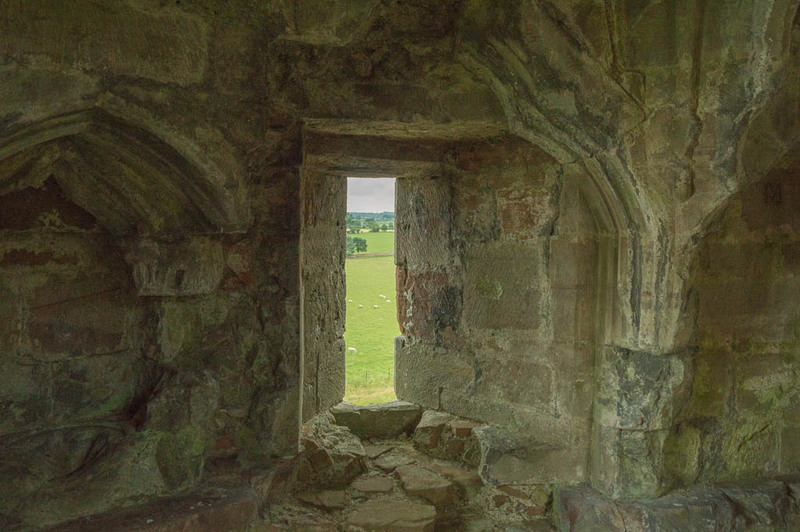 Brougham Castle has a rich history, having first been founded in the early 13th century by Robert de Vieuxpont. His keep still largely survives today, along with the many other buildings which were later added on by the Clifford family. According to English Heritage, the castle formed ‘a formidable barrier’ against Scottish invaders and was a prestigious residence. 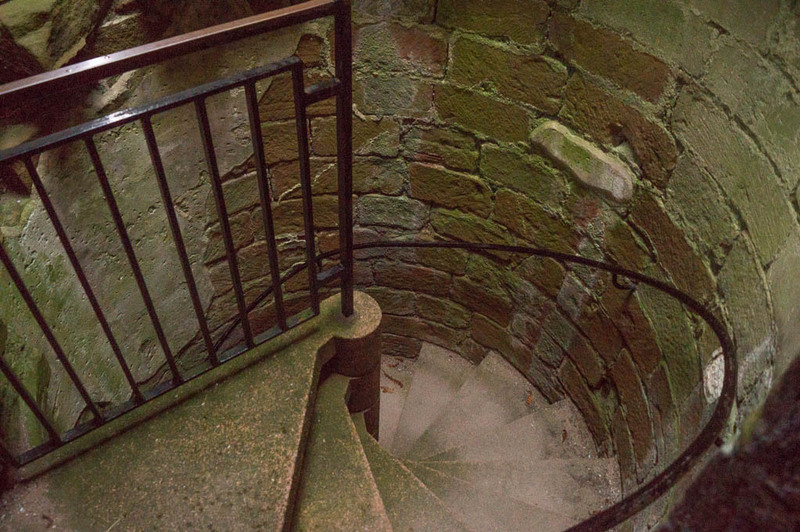 For me, what makes a visit to the castle so enjoyable is that you don’t just walk around and look from a distance – you can actually explore the remaining stone spiral stairwells, passageways, cubby holes and many vantage points, and take in the views from the very top of the keep, which is four floor levels high. 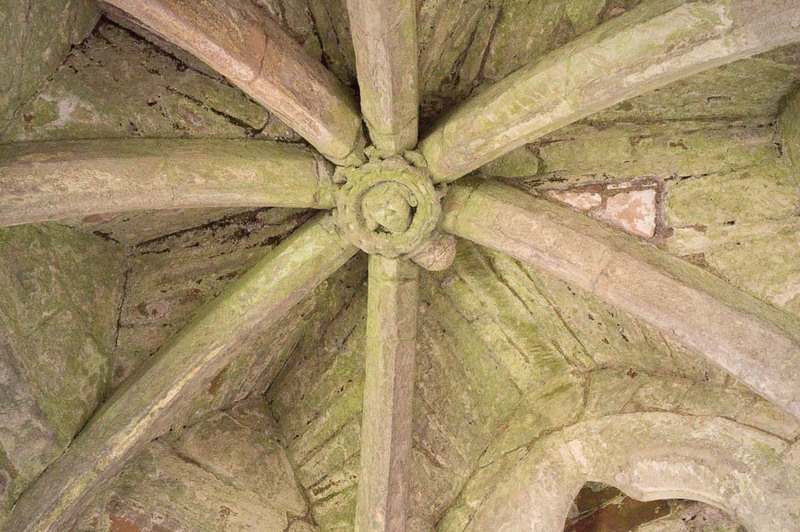 Doing so also gives you the chance to appreciate some of the intricate details in the stonework that still exist today, and to see for yourself the castle features you learnt about in school history lessons and thought you’d forgotten long ago! View from the top level of the keep – my history teacher would be asking why the slit is shaped in this way, but I’m not answering in case anyone with real historical knowledge is reading! There are lots of information boards around the site, and these provide a history of the various parts of the castle and how they have evolved over the years. That said, if you’re not particularly interested in historical detail beyond the basics, there’s nothing to stop you just enjoying a look round, and absorbing the atmosphere and intrigue of the castle itself. 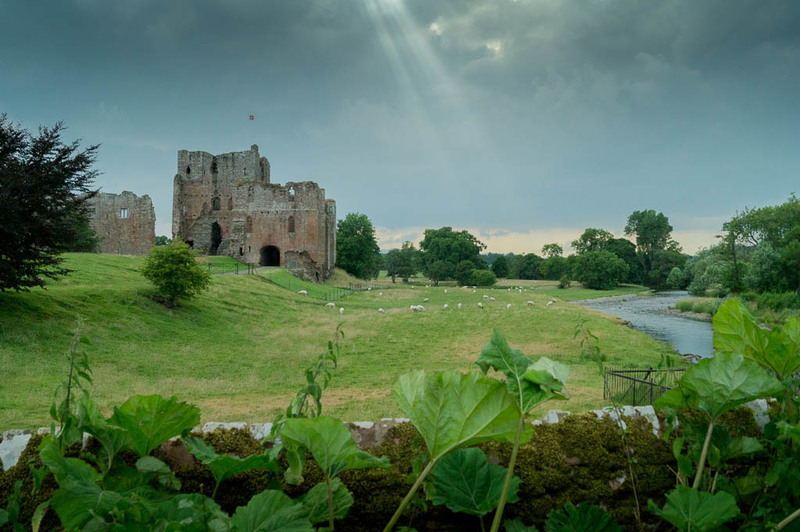 It is certainly humbling to think that Brougham castle has been standing in its various forms for so many years – I can’t imagine that any building we construct now will remain standing so long into the future. 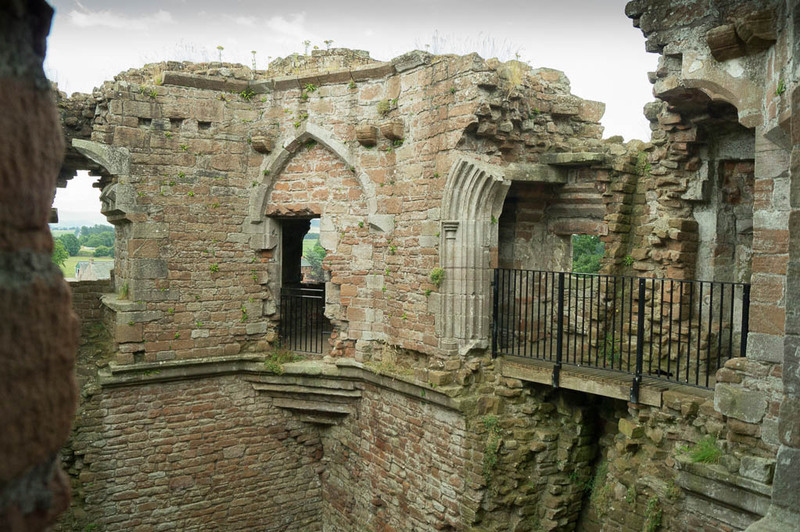 Writing this blog post has brought back all the enthusiasm for Brougham Castle that I experienced as a child, and I now understand why I’d wanted to return all these years. I’m so glad that I finally visited again, and I really hope to do so again in the future – the site has such character, and to me, the charm in visiting is being able to explore and not just look from a distance. After all that fresh air, we decided to finish off the day with a meal at the highly regarded George and Dragon in nearby Clifton. Coincidentally, we had visited on the day of a country show being held close by, and so the pub restaurant was packed full of diners. Amazingly though, the staff could not have been more welcoming and courteous, and despite warning us of a long delay and seating us with drinks and nibbles, we had absolutely no complaints about the time we waited to be served. The food was of excellent quality, and I wouldn’t hesitate to visit again for lunch or an evening meal. English Heritage, who run Brougham, also suggest enjoying a family picnic in the castle grounds, and I can imagine that on a warm, sunny day this would be a lovely thing to do. If you’re in the area, I hope I’ve inspired you enough to take a look for yourself. For more information on Brougham Castle’s opening times visit English Heritage online. 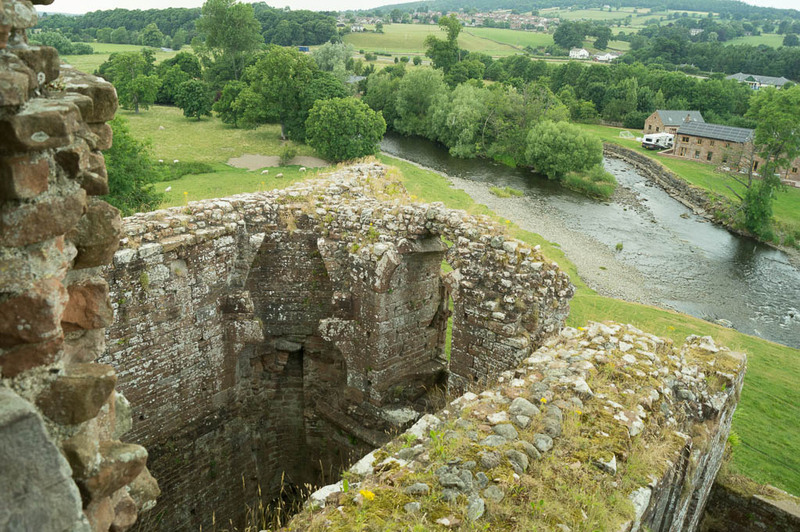 Have you been to Brougham Castle or one of the other English Heritage sites around Cumbria? What did you enjoy most about your visit? Share your thoughts using the comments form below. There are so many interesting buildings and places to visit in this part of the Lakes – I really hope to visit more. One of my favourite castles. And I’m lucky enough to live nearby. I pass it at least once a week and have painted this one a couple of times. I’m in the middle of a painting of the Oratory. The story of Lady Anne Clifford who restored the castle in the 1600’s is interesting and leads you around the area to Brough, Pendraggon and Skipton – more of her restorations. Thanks so much for your comment Margaret, and what a lovely area to paint. Thanks also for drawing my attention further to Lady Anne Clifford – her story sounds very interesting. your descriptions and attractive photos remind me of other grand castles visited when I was fit and able. Thank you for another lovely comment. I’ve realised since starting the blog that understanding the history of an area can really enhance your experience of it, and there’s certainly a lot of history in the Lakes. English Heritage care for some great sites in the area – I hope to visit more soon. What another beautiful post. Your photography once again is beautiful. Thank you for bringing this wonderful ruined castle to my attention! We will certainly visit. Many thanks for your comment Angela – that’s really kind, and I’m so pleased to hear you like the article. English Heritage manage some lovely historic sites in the area – I’m hoping at some point to visit Furness Abbey in the south of the county too, as that’s one I’ve still not visited yet!